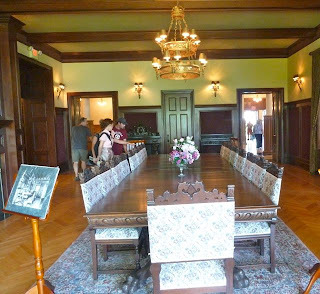 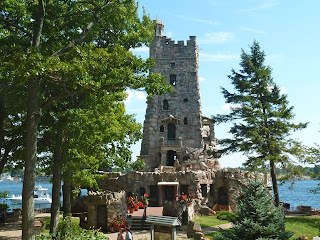 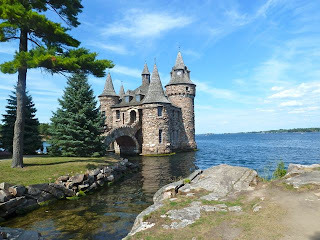 After our visit to Fort Stanwix we decided to drive to Alexandria Bay in order to visit Boldt Castle on Heart Island. 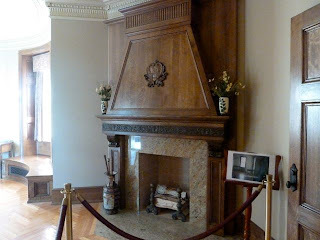 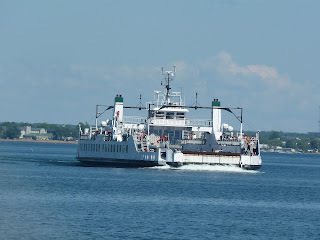 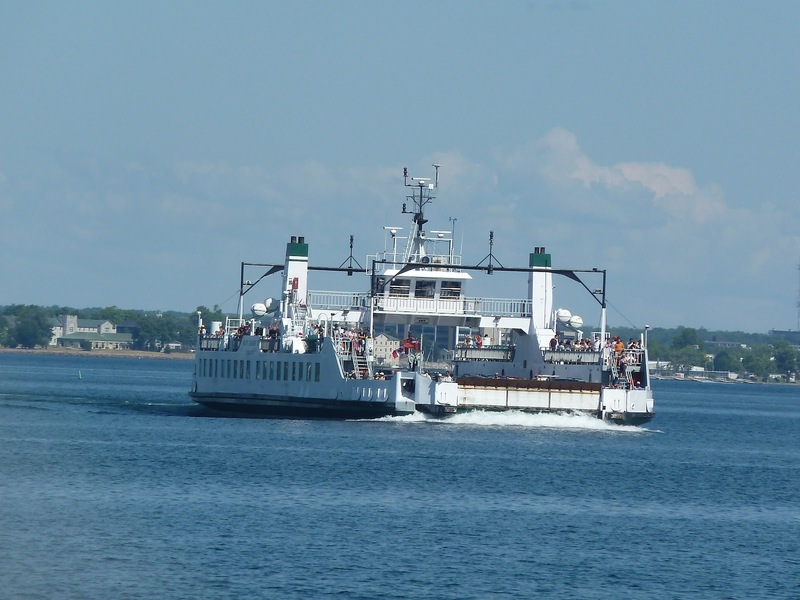 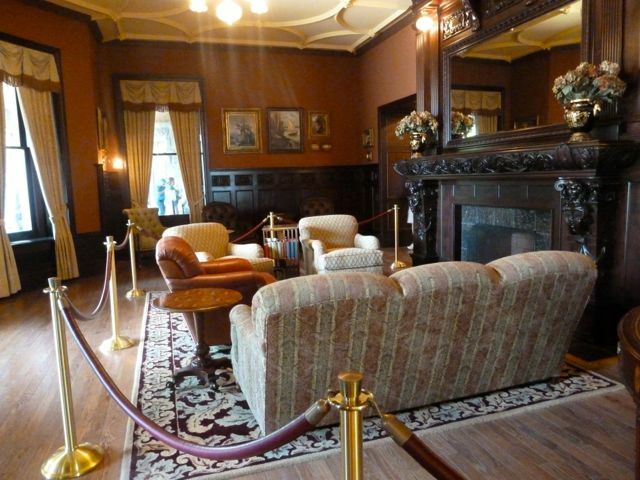 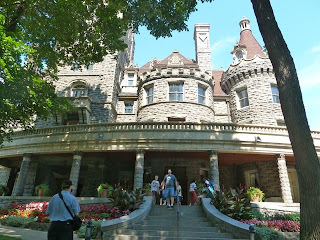 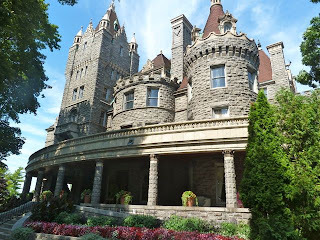 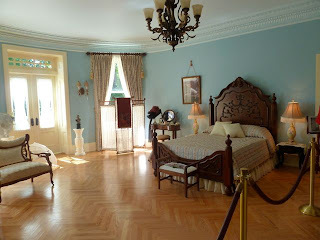 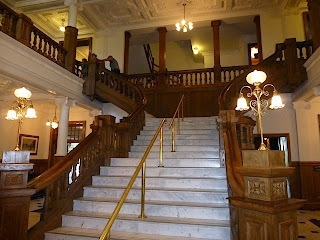 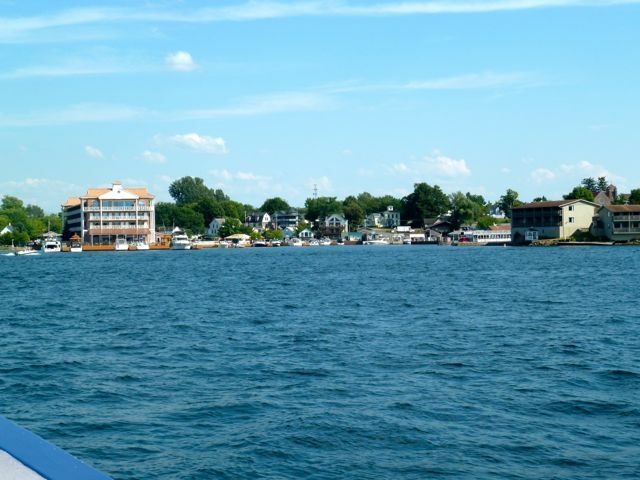 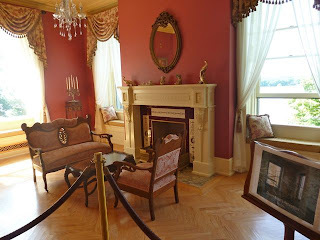 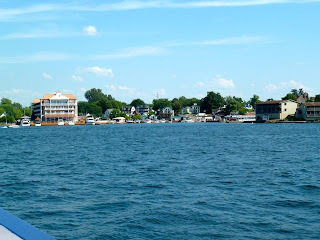 It is a short 10 minute boat ride from the harbor at the end of James St.
Boldt Castle was to be the testimony of George Boldt's love for his wife Louise. 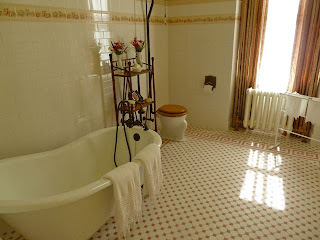 The finest of artisans, craftsmen and materials were to be used. 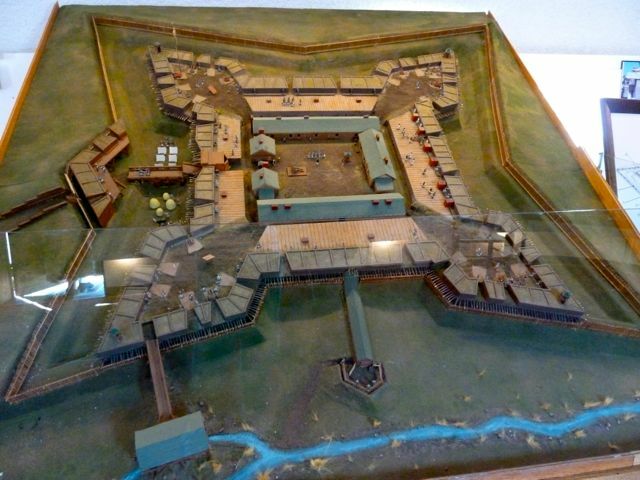 Unfortunately during construction, Louise suddenly died and work was ordered stopped. 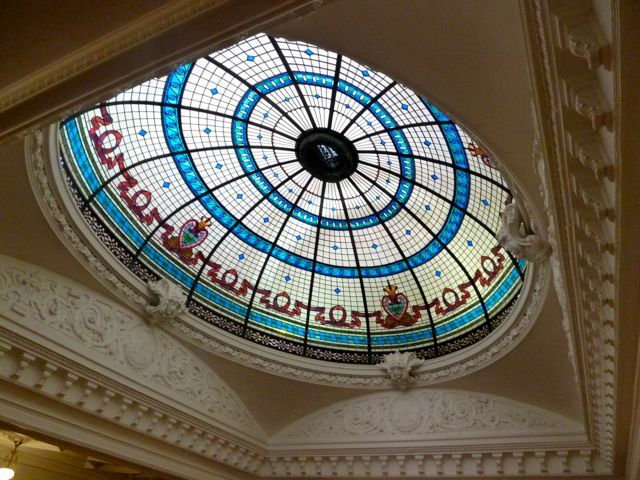 Sculptures, tapestries and fine furniture never were placed inside. 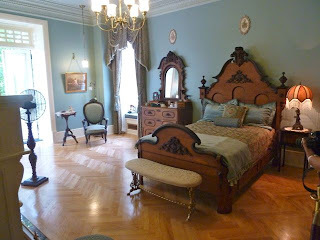 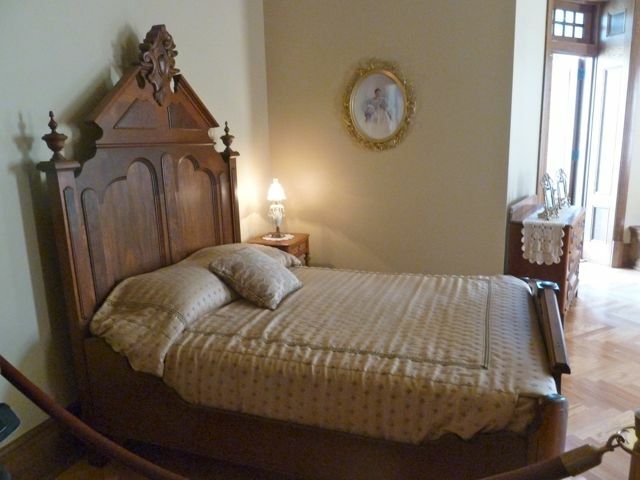 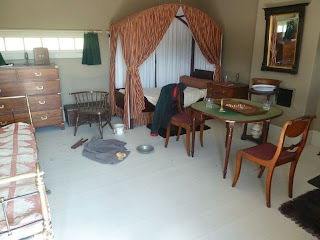 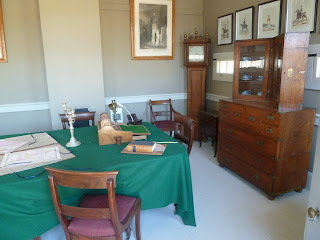 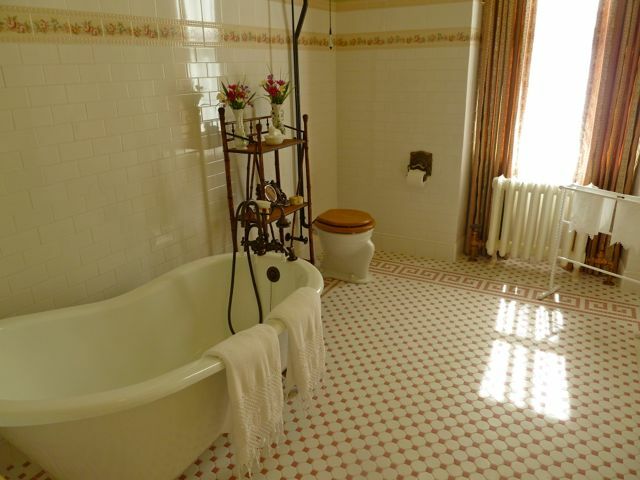 I believe the furnishings today are part of the restoration project. 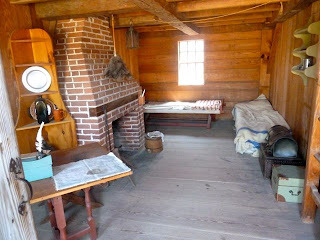 Most of the floors and rooms have never been completed and most likely never will be due to the huge expense involved. 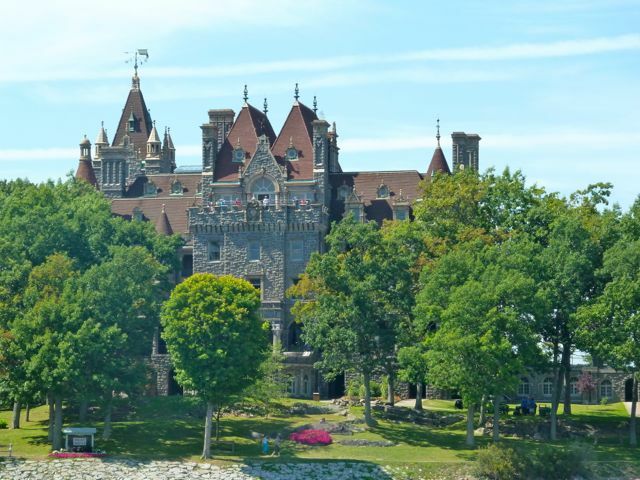 The castle sat vacant from 1904 until 1977 when The Thousand Islands Bridge Authority took ownership. 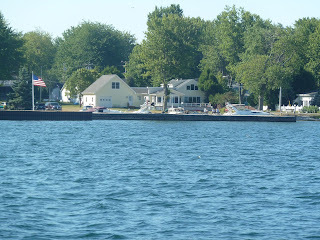 The yacht house on Wellesley island just across from the castle housed the family's 3 yachts and houseboat. 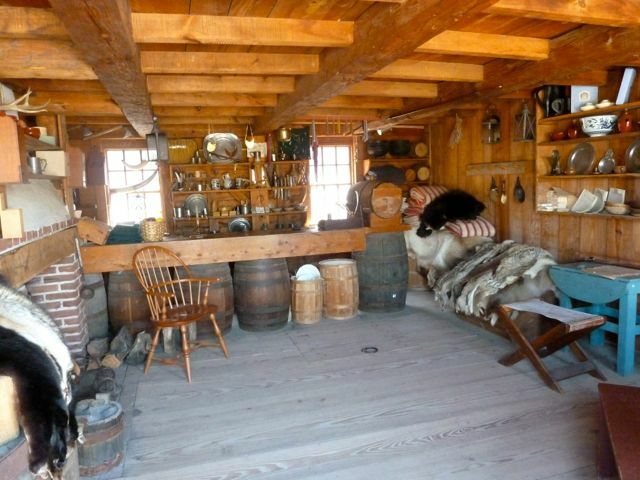 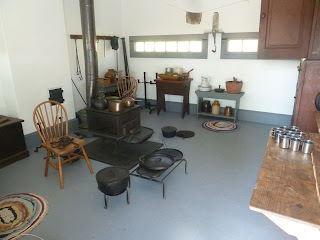 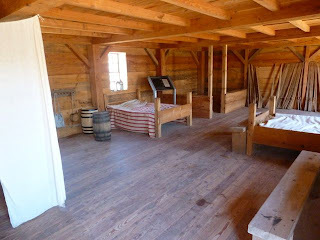 They also had a home on the island as well as a farm. 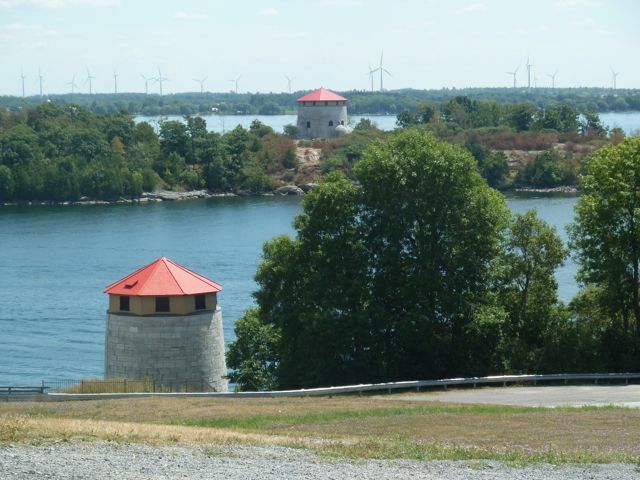 The Power House was built with the intention of electrifying the island. 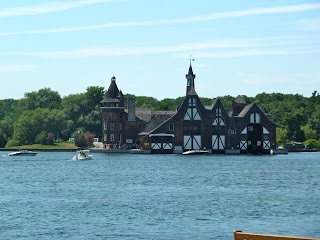 The Alster Tower or Play House was perhaps designed after the old defense tower on the Alster River in Hamburg. The Tower served as an occasional residents for the family during the building of the castle. The Castle is modeled after 16th buildings and rises 6 stories from the foundation consisting of 127 rooms. Continuing our fort visits to Ontario, we traveled up CA Hwy 401 to Prescott about an hour from Kingston. 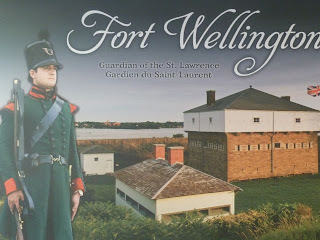 Fort Wellington was the main post for the communication between Montreal and Kingston during the war of 1812. 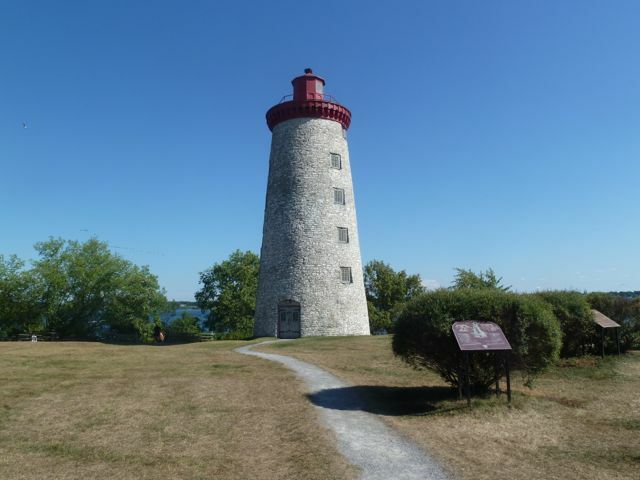 It sits across the St. Lawrence from Ogdensburg, NY. 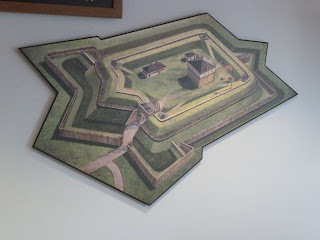 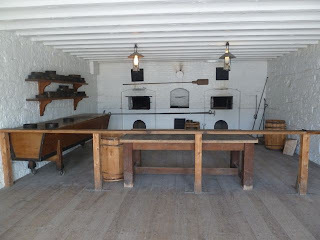 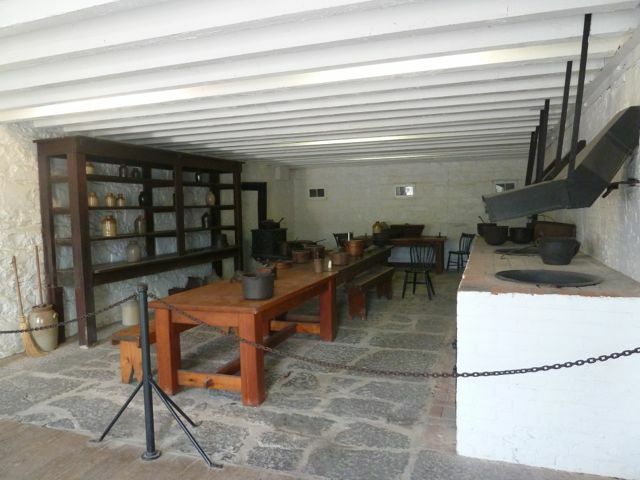 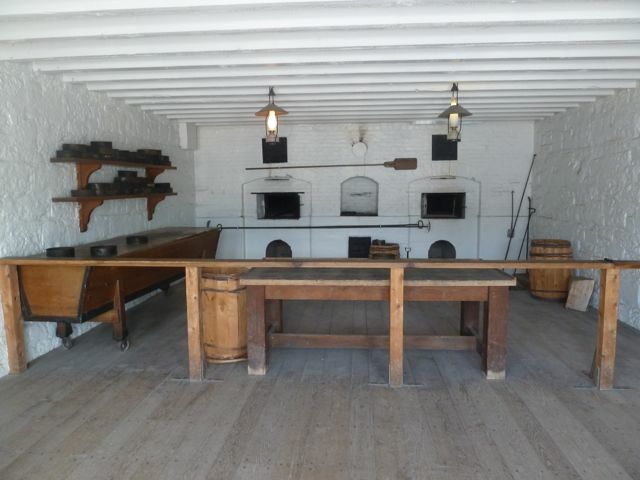 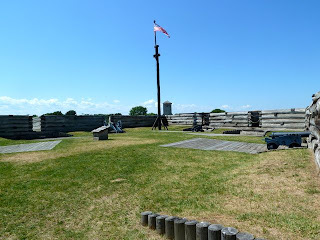 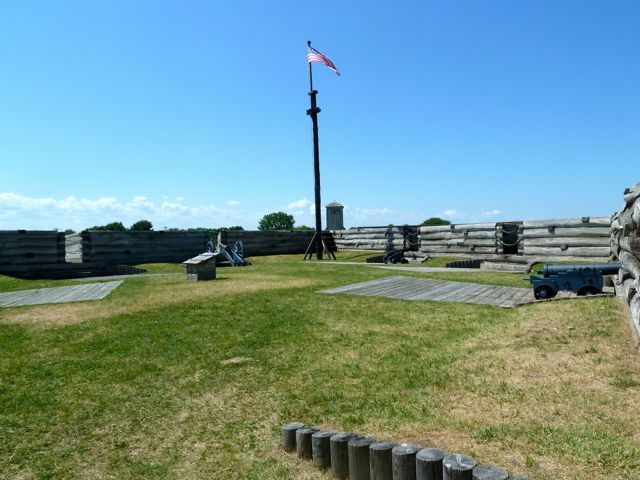 In 1813 a force of local militia and British regulars successfully captured the fort at Ogdensburg. 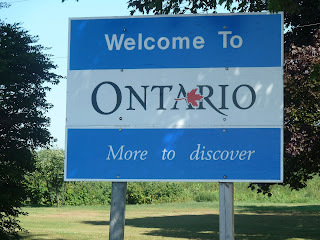 In 1837, rebellions broke out in Upper and Lower Canada and after failing to free the colonies from British rule,many fled to the United States. In 1838 while the fort was being rebuilt, a force of Canadian rebels and American sympathizers landed at Windmill Point just down from the fort in hopes of capturing the fort. 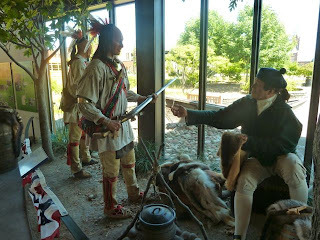 After four days of bloody fighting,the rebels surrendered. 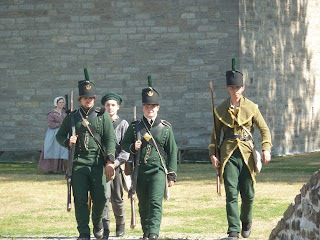 After the American Civil War, Prescott was again threatened ,this time by Fenian soldiers who believed they could capture Canada and hold it for ransom for the independence of Ireland. 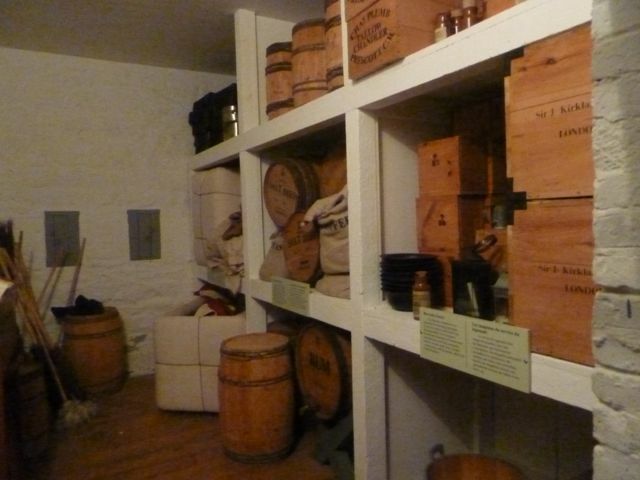 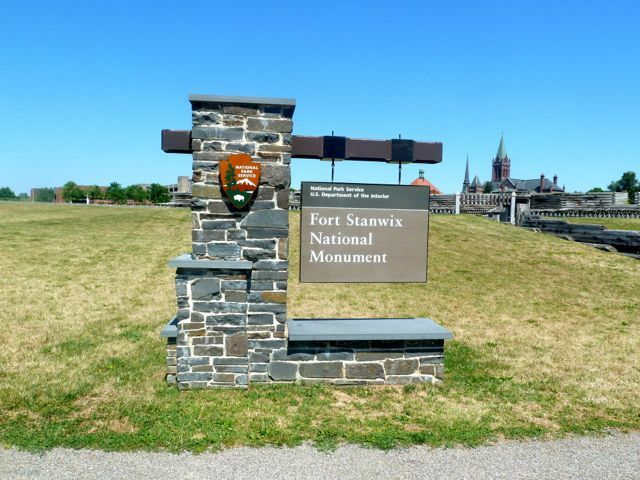 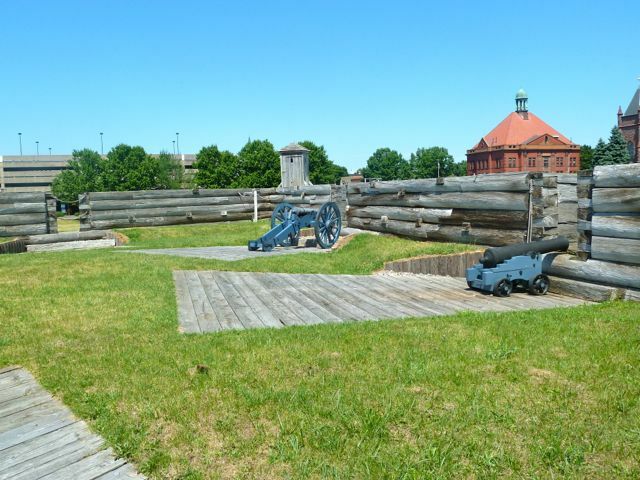 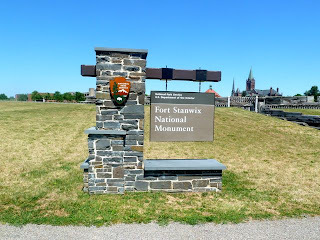 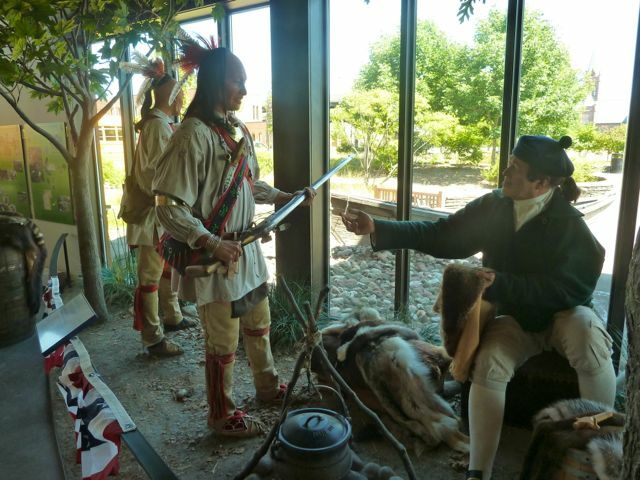 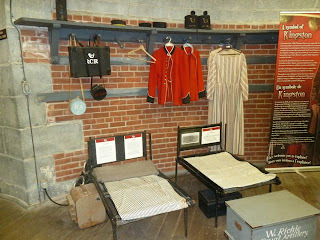 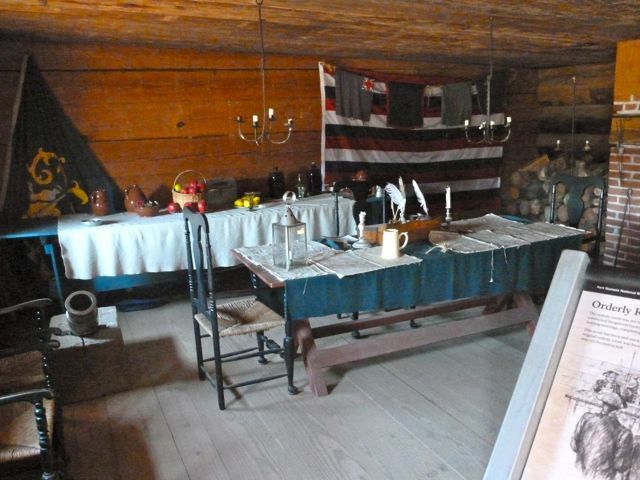 In 1871 British troops withdrew from Canada, the fort served as a militia depot during WW I. In 1923 it was declared a historic site. 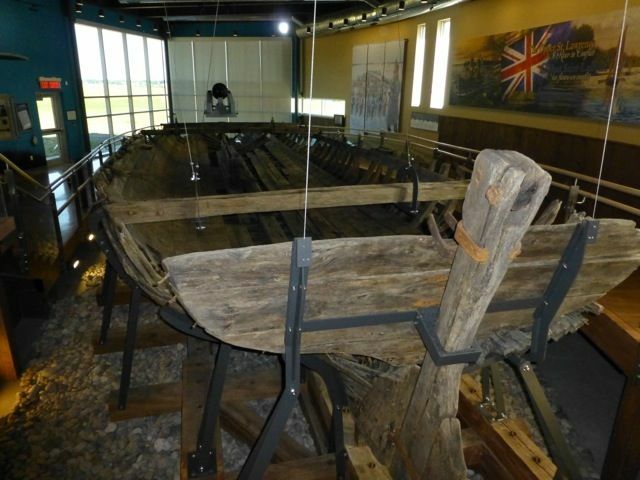 The newly constructed Visitor Center houses an 1800's British gun boat hull salvaged from the waters of Brown's Bay near Mallorytown Landing. We boarded Destiny at a very nice facility on Hwy 3 8 miles from campground..North Country Animal Health Center until Tuesday. 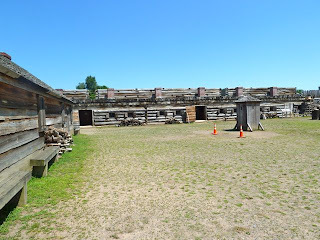 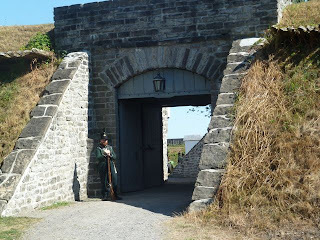 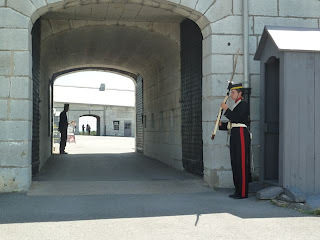 With passports in hand we decided to visit some forts in Kingston and Prescott Canada. 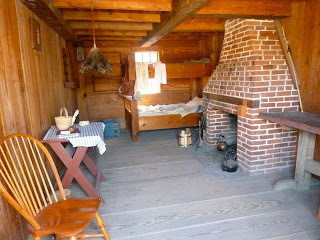 I will write 2 separate blogs on the day. We boarded the first ferry in Cape Vincent which took us over to Wolfe Island in Ontario at a cost of $15 for car and driver. 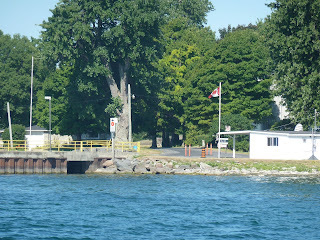 After leaving the ferry it was a short drive to the next ferry, which is free. 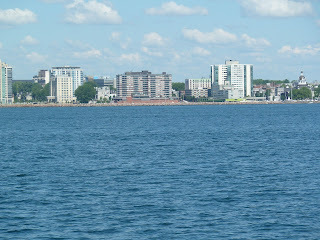 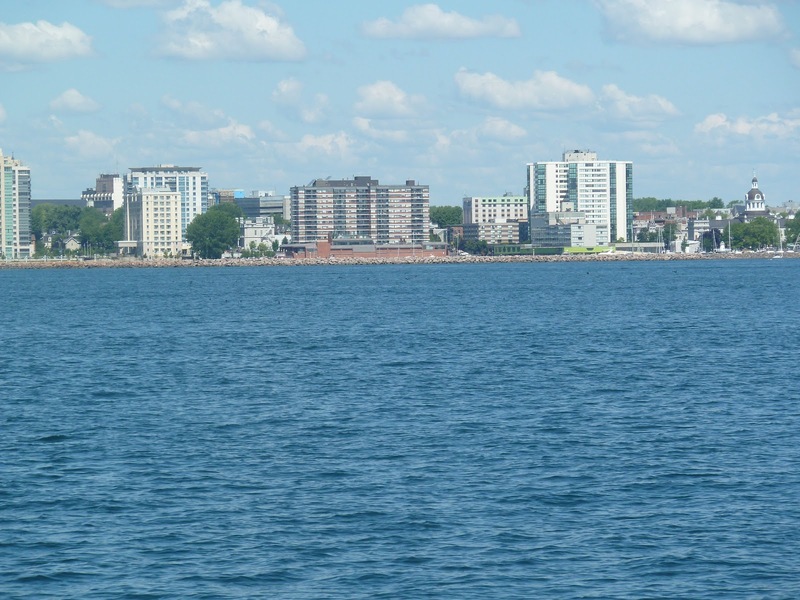 from Wolfe Island to Kingston. 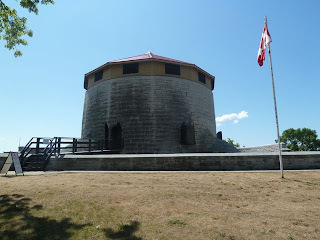 Our first stop in Kingston was the Murney Tower, a sophisticated Martello Tower built by the British and one of four in Kingston as an effective coastal defense constructed between 1846 and 1848. 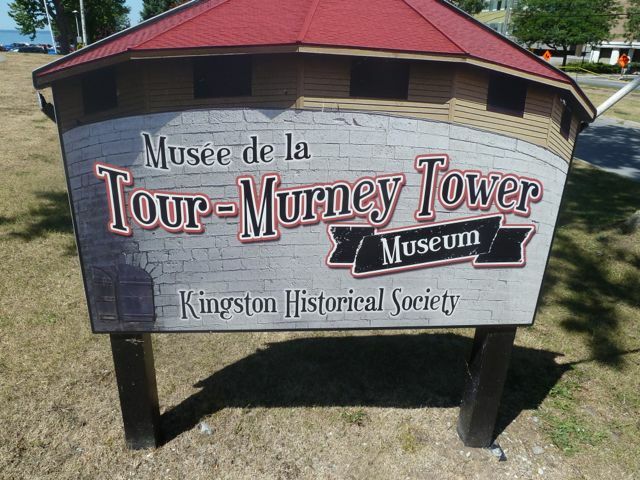 Since 1925 it has been operating as a museum. 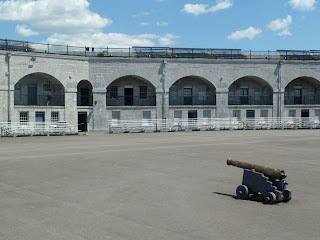 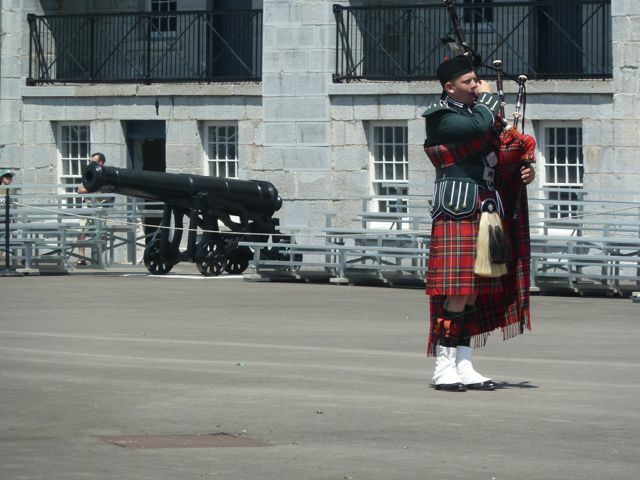 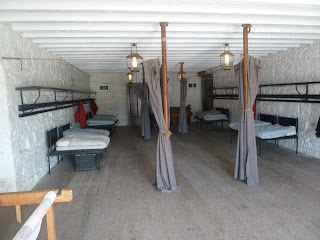 Fort Henry was built following the war of 1812 as part of the defense of Kingston Harbor, Rideau Canal and Naval Dockyard against an American invasion. 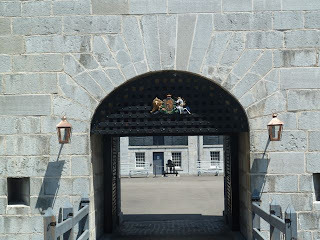 Kingston's fortifications were never tested in war. 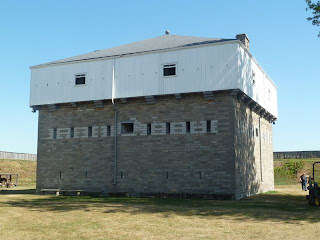 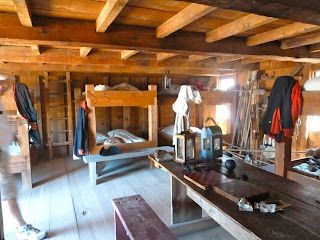 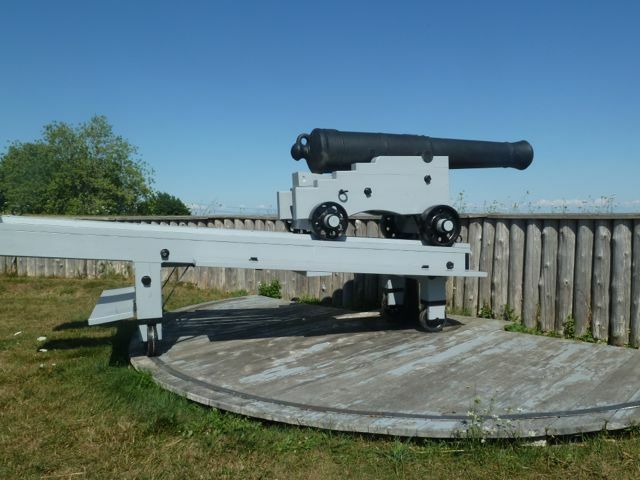 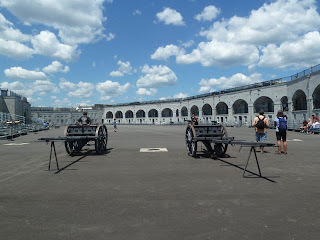 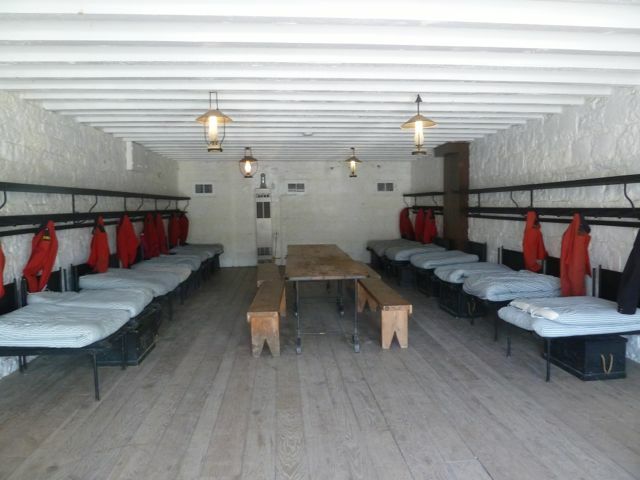 Fort Henry was the largest and strongest fortification in North America west of Quebec City. 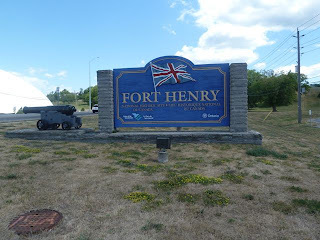 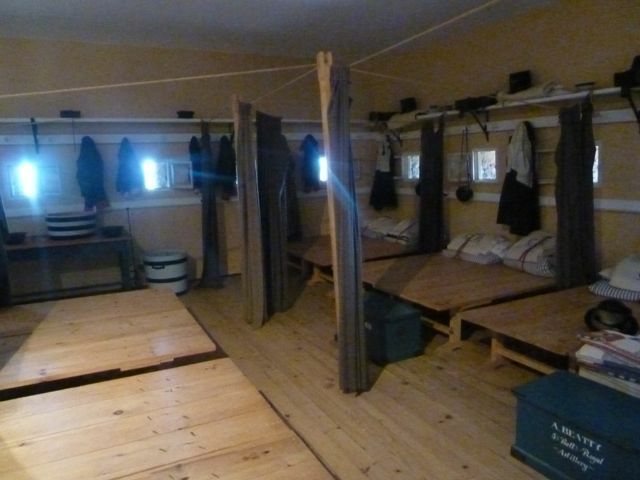 Fort Henry today is a museum and historic site with visitors from around the world. Uniformed interpreters known as the Fort Henry Guard staff the fort, giving presentations and demonstrations of life as it was in the fort.